Stock, Body Shop, Industrial, and More. 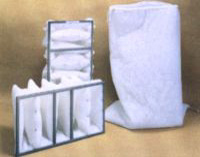 We can help you find exactly what you need for your paint booth from our wide selection of filters. Choosing the right booth is essential to your shop productivity and a high quality finished product. We provide paint booth maintenance services to Northeast & Central Florida and South Georgia areas. Our curtain walls can serve a variety of uses in many different industries in order to fit your needs. Our company offers replacement filters for all types of paint booths including: AFC, Binks, Blowtherm, CMC, Devilbiss, Eagle, Gfs-Global Finishing Solutions, Garmat, Kayco, Nova Verta, Spraybake, Saico, Saima, Accudraft, USI, Wellbuilt and Col-met. 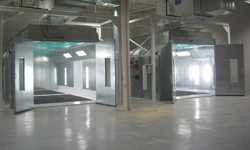 Our large paint booth selection includes crossdraft, semi-modified downdraft, side downdraft, full downdraft booths, prep stations and paint mixing rooms. All our booths come with full manufacture warranty. 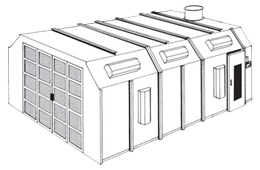 Our booths provide a safe, clean environment that will comply with all OSHA &amp; NFPA standards. Choosing the right booth is essential to your shop productivity and a high quality finished product. 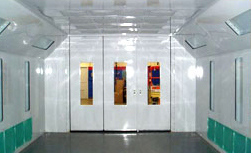 Take good care of your paint booth and it will take good care of you in the form of fewer headaches and more profit. 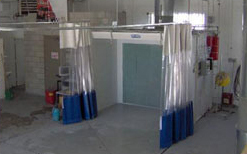 Busy managers rarely have the time, manpower, or expertise to properly maintain their paint booths. Our name says it all. 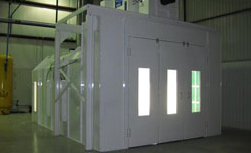 Paint Booth Maintenance Service Inc. is headquartered in Jacksonville, Florida and offers local repair and maintenance to customers in the Northeast and Central Florida and South Georgia areas. 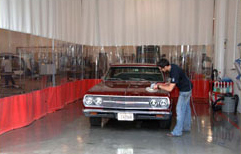 Our experienced service professionals repair all makes and models of paint booths. Curtain walls can serve a variety of uses in the industrial, commercial, marine and automotive industries. 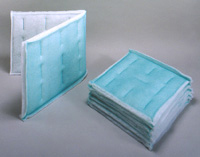 They can create a barrier for confining dust, dirt and contaminants as well as controlling heat and cold loss, protection from paint, overspray or sparks. Use these curtains for climate control environments, awnings, space separation or dividing curtains for privacy, paint booth curtains or prep station curtains and more.